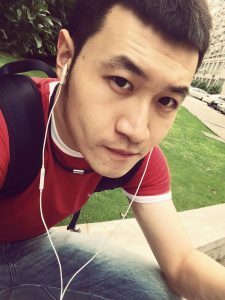 Bo grew up in Shanghai, China and obtained his Bachelor degree of Chemical Engineering from East China University of Science and Technology in 2012. His final year project was focussed onthe photocatalytic performance of Ce-Si mixed with TIO2 pillared montmorillonite under Dr. Ying Zhang’s supervising. Then he went to the University of Leicester for his MSc and worked on tridentate multianionic ligands for transition metals in Prof. Eric Hope and Dr. Gregory Solan’s group. Bo started his PHD in November 2016 under the supervision of Prof. Rachel O’Reilly and Prof. Andrew P. Dove at University of Warwick. His project is focus on synthesis and preparation of nanostructures by crystallization driven self assembly.